Naturally, when Ultimate Ears announced the MEGABOOM at CES, I had to jump in line to check it out. I'm loving the recent trend of multiple-sized speakers from within the same family, and I had high expectations from a speaker carrying the BOOM name. Spoiler: it hasn't disappointed me yet. This speaker is a complete beast across the board: it's waterproof (IPx7), has a 20-hour battery, and sounds killer to boot. Top all that off with Ultimate Ears' unprecedented two-year warranty (almost every other speaker on the market only carries a one-year warranty), and you've got a speaker that not only sounds good, but is up for any challenge you can throw at it. 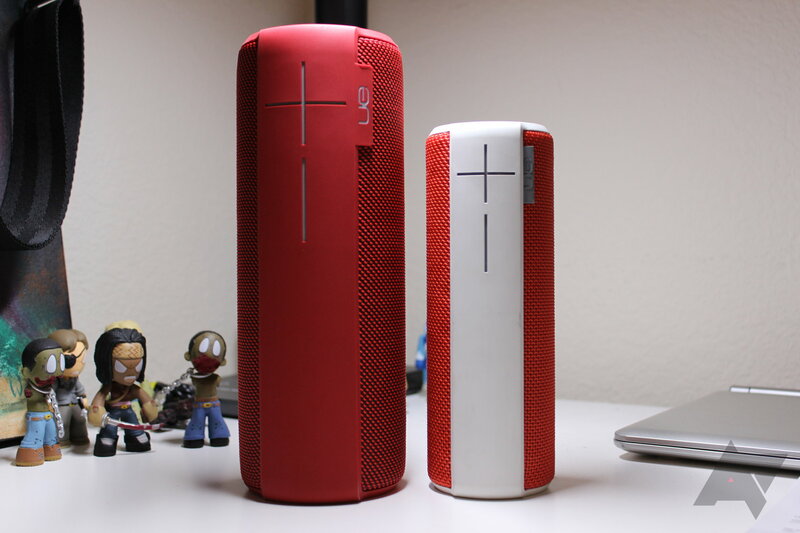 Stylistically, the MEGABOOM is basically identical to the BOOM, just bigger. 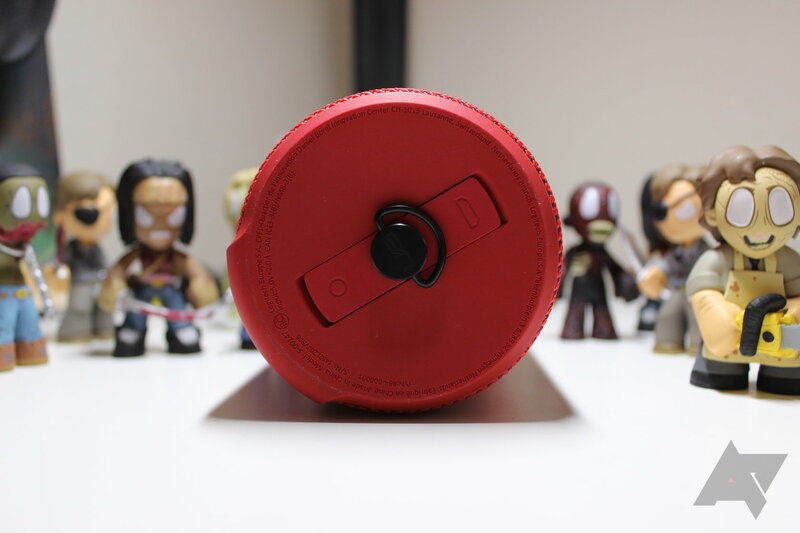 It's got the same cylindrical shape - which allows for 360 degrees of sound - with the power and Bluetooth buttons at the top, volume buttons on the side, and charging-port, aux-in (both of which are covered), and clip/tripod mount on the bottom. When compared directly to the BOOM, it's roughly an inch larger in circumference, and about two inches taller. It's also 339 grams heavier, which is nearly double what the BOOM weighs (877g vs 538g), though it doesn't actually feel that much heavier since the weight is distributed across a larger area. 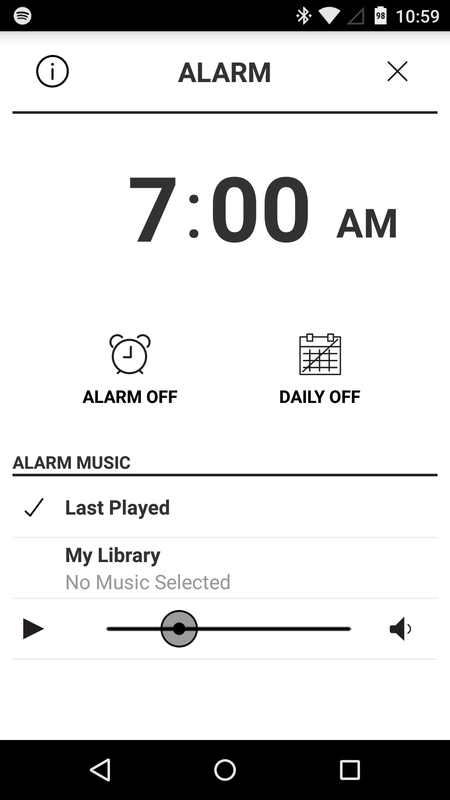 If I had to pick one thing I'd change on the MEGABOOM, I'd add on-device track controls. That's one of the things I like most in a speaker, and honestly, it's the only thing that this one (along with the BOOM and MiniBOOM) is missing. Alas, can't win 'em all, I guess. 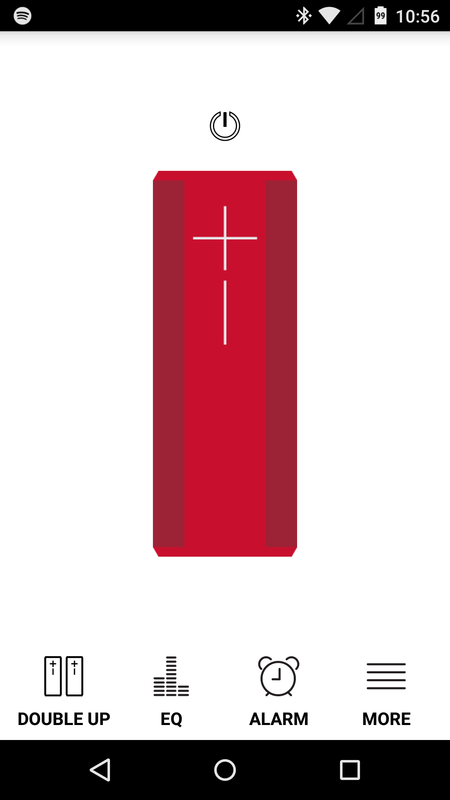 Like the BOOM and MiniBOOM, the MEGABOOM has a companion app that allows users to do some pretty cool stuff with their speaker, as well as enabling some unique and useful features. This is where the EQ is controlled, the speaker can be renamed, sounds can be toggled, and more. It's also where the alarm can be set. 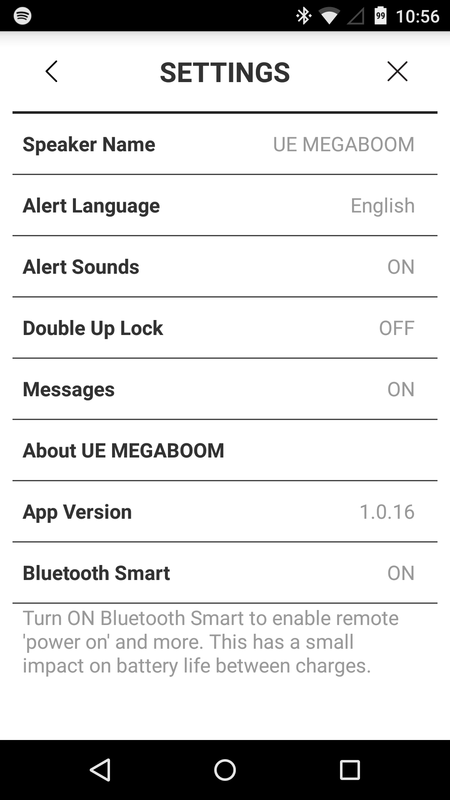 Since the MEGABOOM uses Bluetooth Smart and BT 4.0, you can also remotely turn the speaker off (but not on, unfortunately or maybe you can...I just can't get it to work got it - it just takes a bit for the power button to show up in the app) from the app. 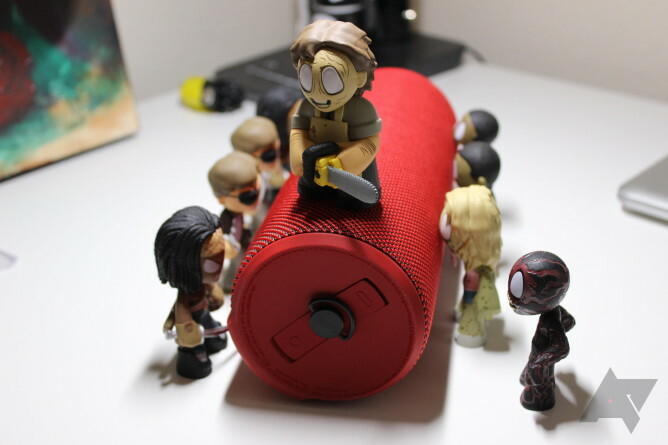 Probably the coolest feature of the MEGABOOM app, however, is Double Up. While this isn't the first time we've seen Double Up (both the BOOM and MiniBOOM have it, as well), it does introduce something new: cross-speaker compatibility. 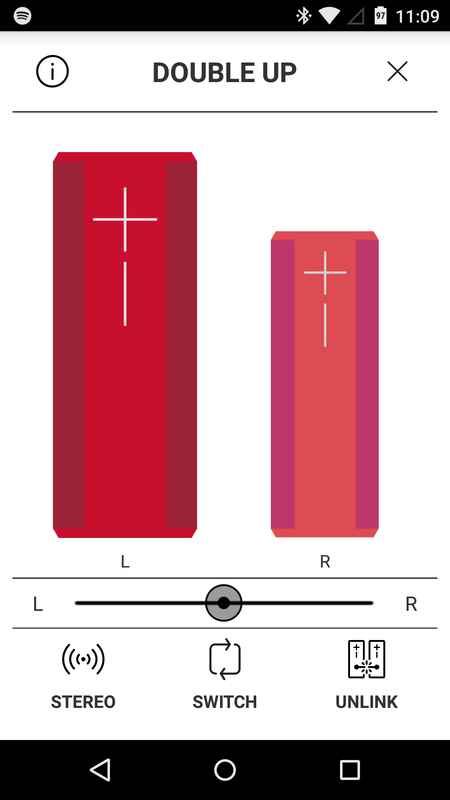 With the MEGABOOM's predecessors, you had to have two identical speakers to use Double Up (two BOOMs or two MiniBOOMs), but the MEGABOOM can pair up with either another MEGABOOM or a BOOM. I tested it out with another BOOM, and it worked perfectly. And since the speakers are synced together once Double Up is set up, you can control the volume of both just by changing it on one speaker. So cool. Definitely a great feature for parties and whatnot when two BOOMs/MEGABOOMs are available. Most of the time when I review speakers, it's my first time using anything from that brand or speaker line. 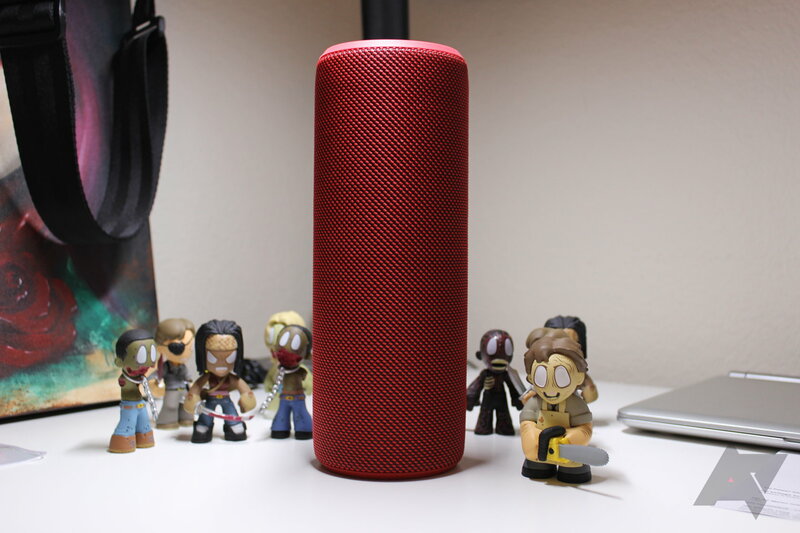 It's a little bit different with the MEGABOOM, because I have already spent time with the MiniBOOM and BOOM, and even chosen the latter as my "daily driver" in the speaker world. So, in short, I had expectations for the MEGABOOM. I expected big, clear sound, even at high volume. I expected low, resonant bass. I expected it to live up to its name. Not only did it live up to my expectations, but it surpassed them. Ultimate Ears has once again hit a home run, as the MEGABOOM is one of the best-sounding Bluetooth speakers I've ever heard, and, in my opinion, is completely unmatched at this price point. Vocals are clear and articulate. Bass is resonant and distinguishable, but not overbearing. Highs are crisp, but not shrill. It's got a great balance, and has some of the best "natural" sound (read: without the help of a software EQ) that I've ever heard from a BT speaker. Throw an EQ at it to really dial in this sound you want, and this thing will absolutely blow your mind. The MEGABOOM is one of the best-sounding Bluetooth speakers I've ever heard, and is completely unmatched at this price point. Ultimate Ears is a brand that has great sound quality figured out. From the first time I fired up the BOOM I knew that, and it was solidified with the MiniBOOM. 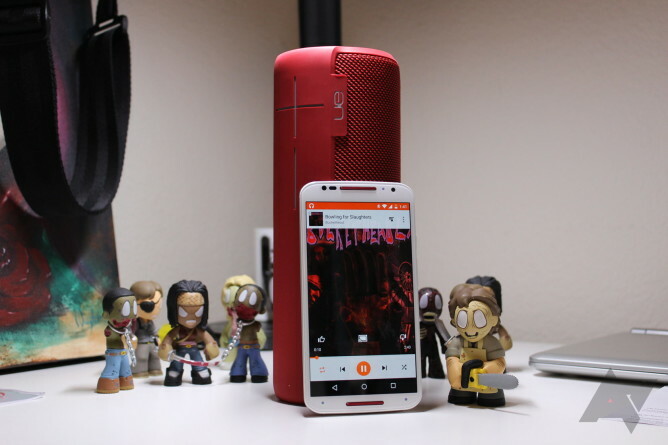 The MEGABOOM, however, stands taller than anything else I've compared it to (metaphorically speaking, of course) - from the awesome Jabra Solemate Max to the Bowers & Wilkins T7 - the MB is just a beast of a speaker. It does have one major competitor, however: the Bose Soundlink Mini, which is surprisingly $100 cheaper. UE's offering is on-par with the SLM purely in terms of sound quality, though, and that's where the similarities end. The MEGABOOM is, in my opinion, more portable. It has a much longer-lasting battery (20 hours vs. 7). It's waterproof. It has a two-year warranty. Those things combined easily justify the additional $100 price tag. If you're in the market for a do-it-all, go anywhere speaker, the MEGABOOM is it. It's right on the threshold of what I'd say is portable, but the killer sound quality and volume easily make up for that. But not only does it sound great, but it's tough as nails and waterproof - it's basically ready to handle whatever you can throw at it. 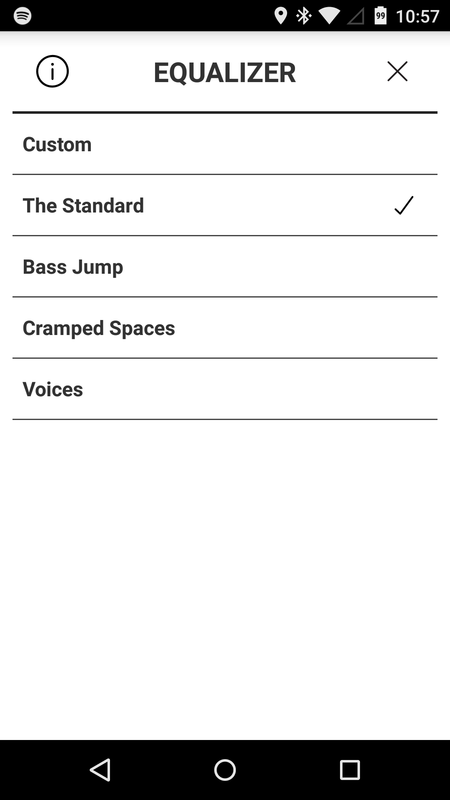 The companion app is also a nice touch, as it makes tweaking certain aspects of the speaker much easier, and also makes keeping the unit up-to-date a simple task (the app doesn't actually update the speaker, but it does tell you when an update is available). The one thing I find the MB to be missing is on-speaker track controls, which are very nice in certain situations, like swimming for example. 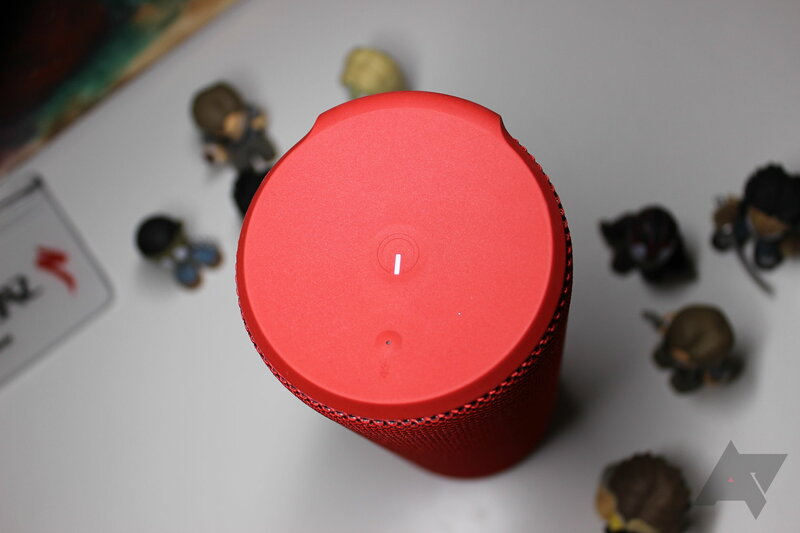 Your hands are wet so you don't want to touch the phone to change or pause the music, so having controls on the already-waterproof speaker would just make sense. I'm hoping for a firmware update that brings long-press functionality to the volume keys. Hopefully UE is listening. 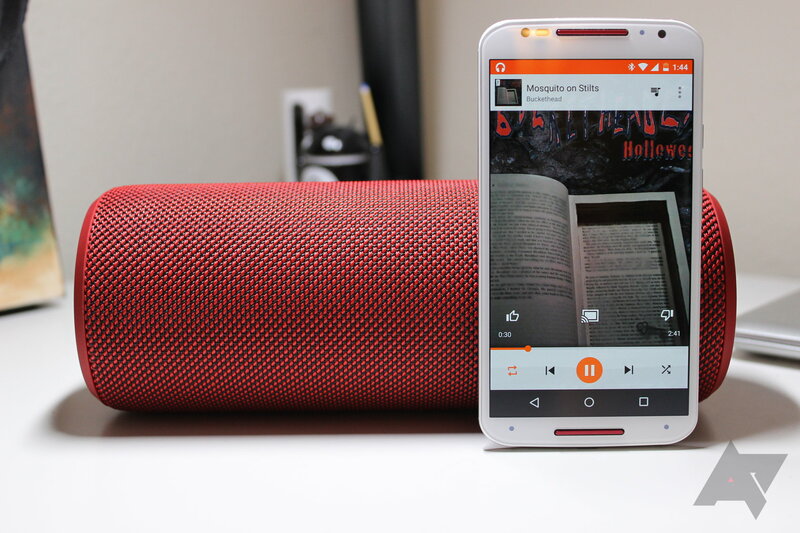 But even without that functionality, this is the best $300 speaker that I've tried to date. Best sound, best form factor, best warranty. Head below to buy one for yourself.